So now you follow the creek back out deep following the channel, draggin’ a Carolina rig Lizard, “Tic-Tic” and you know you’re on them. The fish are biting the pleasure boats and water skiers are gone until next summer. It’s fall and I’m happy. For the next two to three months fishing will just get better, fall is the best time to catch bass no matter where you live or what way you like to fish. Fifty or even One Hundred fish days are not uncommon. There are a few keys to caching fish during this time of the year. The first is to find the bait and you’ll find the fish. Fall bass are most interested in baitfish “Shad” rather than crawfish, not to say they don’t eat craws in the fall. On some lakes you can spot feeding bass even before you launch, “glass the lake for busting fish”, fish feeding on shad or other baitfish on the surface. This is really fun catching fish on top, a mile off the bank sitting in 200 ft of water. Usually these fish will chase the school of bait on top until the sun comes up then the bait goes down and guess where the bass go. On top a Zara Spook is probably the best and the most exciting next is a Fluke type bait, a Rip Bait or a Popper. After the surface action stops is where a good depth finder will come into play Lowrance model x15 will show the shad nicely. If you can follow the bait you can catch fish all day, there are different methods for catching these fish depending on how deep they are. If they are fairly shallow crank bait like a Sugar Shad or deep diving rip bait or even a 3/4oz Spinner bait slow rolled will work. If they are deeper than a crank will run, a cripple Herring, Little George or Blade bait will do the trick also drop shotting is also very effective. Never rule out Senkos either even down below 20ft. 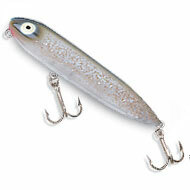 Some lakes don’t have a good shad population but have bait similar to a pond smelt which usually live deeper than shad. Here where your Lowrance x15 comes in handy because with out a good graph you won’t find the bait and you know “find the bait find the fish” To locate these fish start looking at the main lake points and graph for fish once you find the fish there pretty easy to catch. Try this get a four or six inch worm shad color 3/16oz weight Texas rig and shake directly over the fish or a Drop Shot rig with a two to six inch worm is hard to beat. If you were looking for a bigger bite, a jig in traditional craw colors would work. Carolina rigged Lizard is great for covering deep water fast. In every lake there are always some fish shallow and using structure to ambush their prey more so in the fall than any other time. Not all fish are the same and there is always more than one pattern. Shallow fish are much more skittish and require stealth. Fall bass use the creek channels as migration routes and then move up and feed on the points. Structure in these areas is key to finding the better fish. If you can find a nice ledge, rock pile, trees in the creek channel or on a point next to a channel it almost guaranteed fish. Boat position and casting skills determine who’s going to come out ahead when fishing shallow. If get on and off the trolling motor you WILL spook the fish and limit your success, use a steady speed on constant. Cast under hand and even throw the bait on the bank and drag it into the water. Next when fishing shallow watch for shadows and which way the sun is facing, bass use the sun to their advantage. A ½ oz Persuader Spinner bait white with white blades is an excellent choice for these shallow bass. The nice thing about a spinner bait is you can throw it on the bank with out getting hung up and slide it into the water, a “deadly trick”. The speed trap is also a great tool for shallow bass it’s small body is not intrusive and provokes a lot of strikes. Each kind of structure dictates it’s own presentation a lay down log may call for a Senko, Jig or a Tube. A shallow rock pile would be a speed trap and sparse brush piles would be a spinner bait, etc. Fall fishing can be fantastic with so many ways to catch fish you can almost just take your pick and go. When the temps go down the fish come up. Good Luck!